Thomas Jefferson is well known as the third U.S. president and as the author of the Declaration of Independence. He was also a talented architect and landscape designer, dedicated to experimentation and innovation. Monticello, spread over 5,000 acres approximately two hours south of Washington, DC, served as Jefferson's home, his laboratory, and his ever-evolving "essay in architecture." The estate reflects Jefferson's curiosity and his sense of order, serenity, and formality - ideas he explored in three dimensions throughout the estate. As an architect, Jefferson departed from the Georgian style of the day. Inspired by his travels in Europe, his influences included classical architecture, and especially that of the sixteenth-century Italian neoclassicist Andrea Palladio, whose Italian villas and palaces were influenced by ancient Roman and Greek temples. In Monticello, Jefferson designed a Palladian-style villa of classical proportions. But his original design was just the beginning. For more than 40 years, as he traveled and his tastes evolved, he redesigned and rebuilt Monticello. As he described it: "Putting up and tearing down, one of my favorite amusements." "I am now engaged in taking down the upper story of my house …[W]e shall this summer therefore live under the tent of heaven." 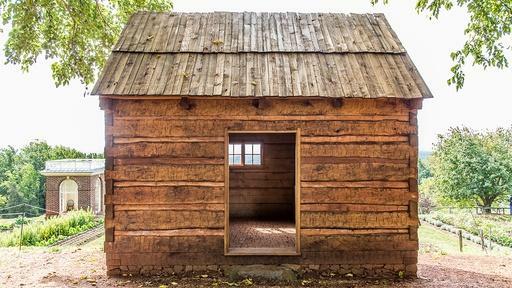 Monticello was also home to a large staff that included enslaved people who served as domestic and field workers and as laborers. Jefferson himself	held conflicted and complex views on slavery, both owning slaves and working toward abolition. Monticello's Mulberry Row, down the hill from Jefferson's home, served as the industrial hub of the estate, with more than 20 buildings dedicated to functions as varied as nail making and laundry. Monticello is the only home of a U.S. president that has been designated a UNESCO World Heritage Site. Explore the official site of Monticello. Take a virtual tour of the house, gardens, and grounds. Read a Chicago Tribune article on visiting Monticello with children. Check out an app on slavery at Monticello. Explore the Virginia State Capitol, designed by Thomas Jefferson in 1788. Read about sixteenth-century Italian architect Andrea Palladio. Learn about Ken Burns' film on Thomas Jefferson. Visit Monticello and tour the house, gardens, and grounds. Monticello was Thomas Jefferson’s personal home as well as his laboratory for experimenting with ideas about architecture, agriculture, and home life.